Alion hydrodynamic experts have a wide range of experience with ship motion, offshore dynamics and maneuvering simulation. We use cutting-edge commercial programs and in-house developed tools as well as the most advanced U.S. Navy technologies. 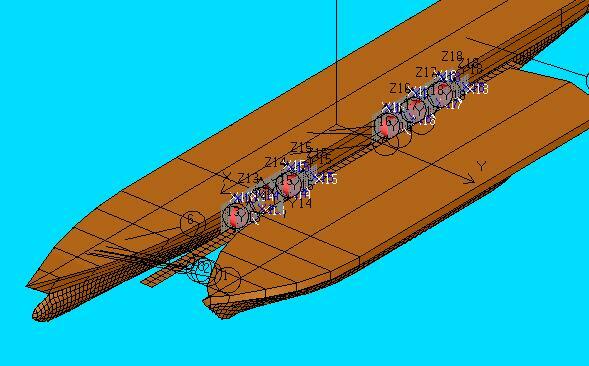 Our ship motion analysis capability includes motion simulation in both requency domain and time domain, use of linear and nonlinear methods, prediction of small/moderate amplitude motions as well as large amplitude motions leading to capsize. We can handle not only the traditional mono-hulls such as naval surface combatants, commercial oil tankers, bulk carriers, LNGs and container ships, barges, but also drilling ships, Floating Production Storage and Offloading (FPSO), SPAR, riser and other offshore production platforms as well as high-speed, more advanced and challenging hull forms such as high-speed planing boats, catamarans and air-cushioned surface effect ship. We do single ship motion performance assessment (see below for details) as well as multi-vessel (with or without pier) motion simulations such as those required for lightering or cargo transfer operations, mooring and fendering analysis, offshore oil/gas projects, offshore wave energy harnessing, ocean thermal energy, towing analysis, articulated ships, articulated barges, and stern boat launch and recovery, etc. We use our own ship control and maneuvering tools as well as commerical programs to do various standard ship maneuvering simulations (IMO requirementments, for example), station keeping simulation, dynamic positioning simulation and special ship maneuvers. Long term ship motion statistics based on a given operational profile, the probability of bending moment exceeding a certain level in 20 years, for example. 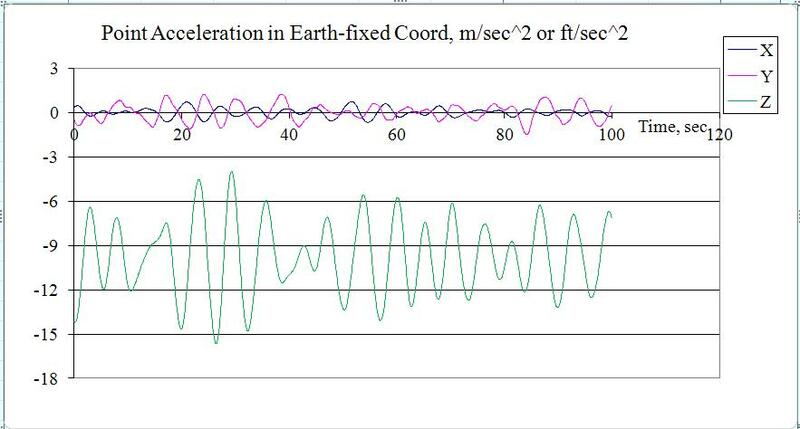 Long crested waves, short crested waves, Bretschneider spectrum, JONSWAP spectrum, Ochi-Hubble 6 parameter spectrum, etc. All sorts of appendixes: bilge keel, skeg, rudder, fins, propeller shaft, shaft bracket, etc. 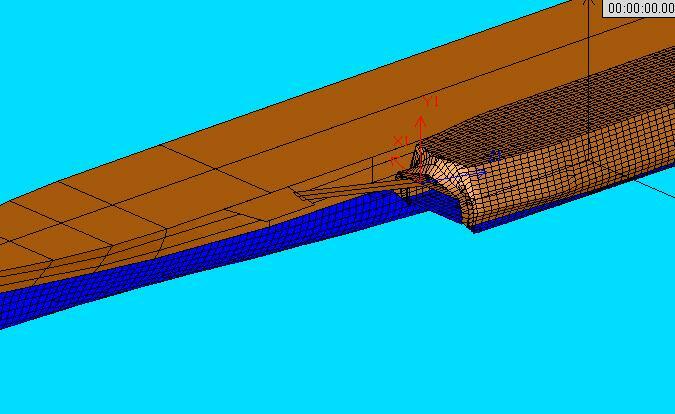 Visual SMP can evaluate the above ship motion for conventional mono-hull and SWATH in low, medium to moderate high sea states. It presents its tremendous output in text, graph and video formats for generating reports. Graph presentation includes 2D plots and all sorts of polar plots: contours, filled contours, Motion limits and Operational Index and Motion limits overlay and Operational Index. For large amplitude ship motion and dynamic stability evaluation, we use US Navy and MARIN’s FREDYN, FRESCATE and AQWA NAUT programs. 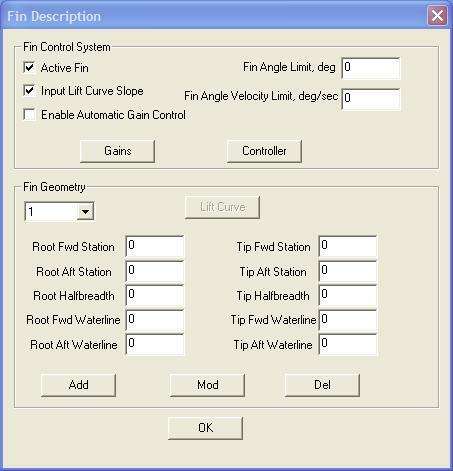 For commercial projects for which FREDYN is not available, we use AQWA NAUT with our own DLL. 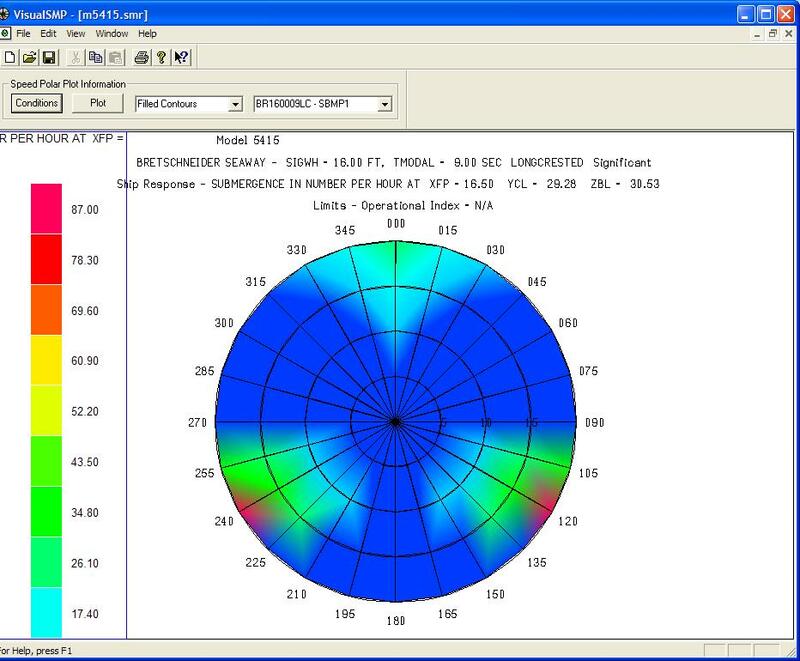 A well designed DLL can make AQWA NAUT perform the same kind of simulation that FREDYN can. 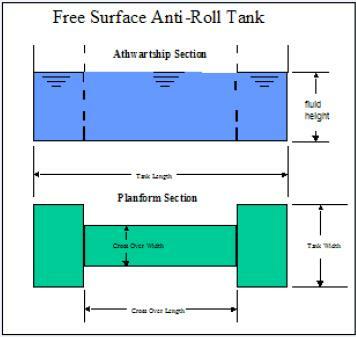 Both FREDYN and AQWA NAUT are based blended linear and nonlinear hydrodynamic formulations. 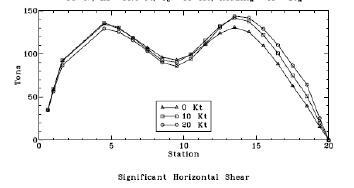 Wave radiation and diffraction forces are calculated on the mean water surface while the hydrostatics and Froude-Krylov forces are calculated on the instantaneous wave and ship positions. 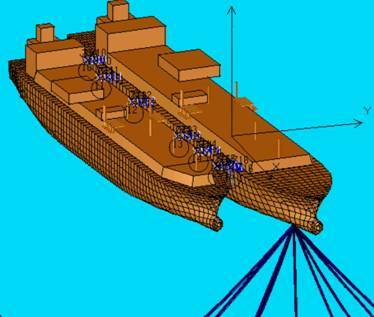 Ship motion simulations using both programs have to be carried out in time domain because many important factors affecting ship motion are nonlinear. 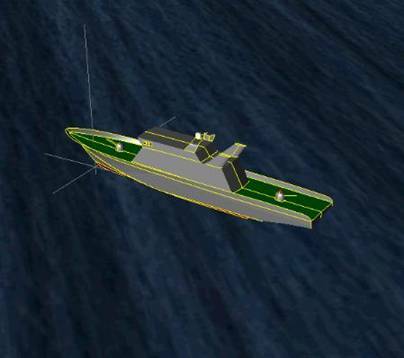 Since ship control forces and maneuvers heavily affect its dynamic stability, both programs simulate ship motion and ship maneuvering together. 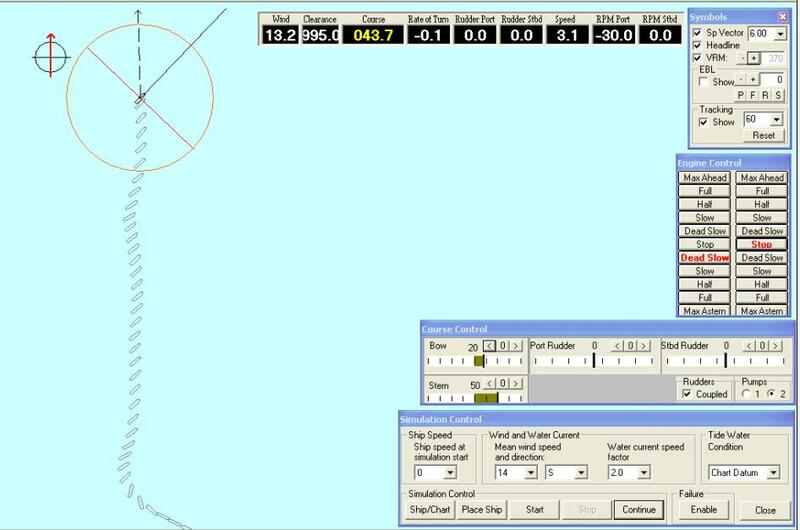 FREDYN has built-in wind modeling, maneuvering models, autopilot module, rudder model, bilge keel model and other appendix models. However, in AQWA NAUT, most of these nonlinear forces have to be programmed in by the user through user-defined DLL. Ship capsize, luckily, is a very rare event. 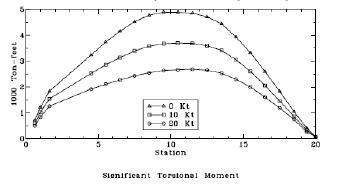 A large number of simulation repetitions are necessary to capture such a low probability event. 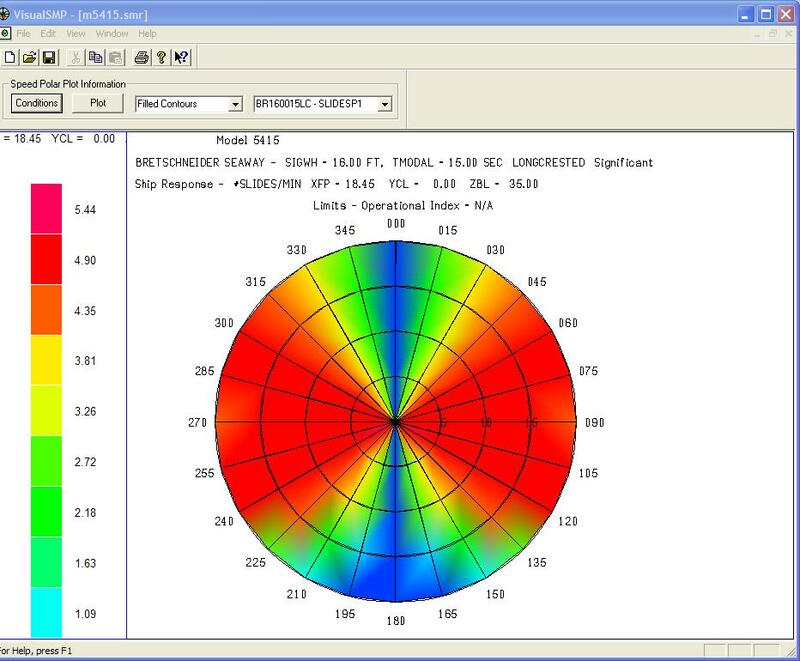 FRESCATE is designed to automatically run thousands of simulations and save the useful motion information for dynamic stability assessment. For such a large amount of simulations, we use a cluster of 55 high performance processors running in parallel. To predict long-term low probability event from limited period of numerical simulations is a very difficult issue. 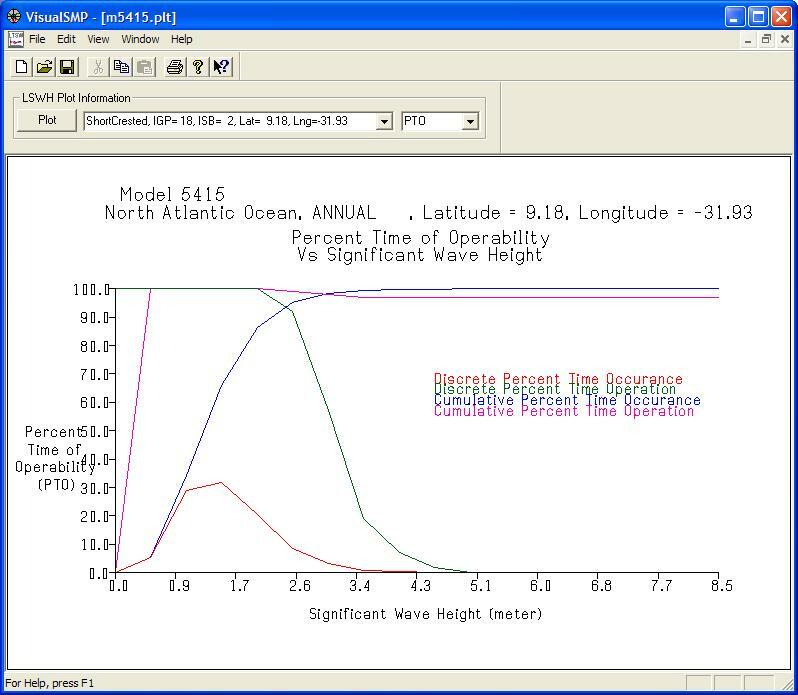 We use different statistics and extreme value models for Gaussian and non-Gaussian processes, to do various rare event predictions, extreme value predictions, operation availability assessment and reliability based system design and assessment. For narrow-banded ship motion responses, Rayleigh distribution will be used. However, most wave spectra and ship responses are not narrow-banded. 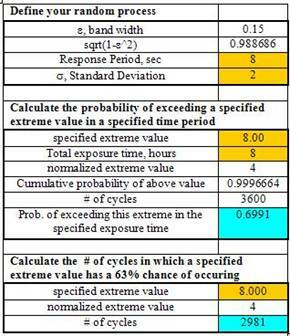 For finite or wide band width responses, we have developed algorithm to calculate the zero-crossing period, average period, response band-width, most probable maximum response, probability of exceeding a specified value in a specified time period, the number of occurrences of exceeding a specified value in a specified time period, etc. 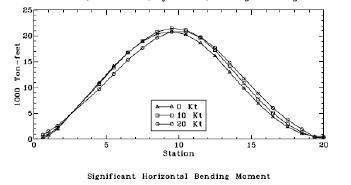 We also do long term ship motion statistics based on a given operational profile, the probability of bending moment exceeding a certain level in 20 years, for example. 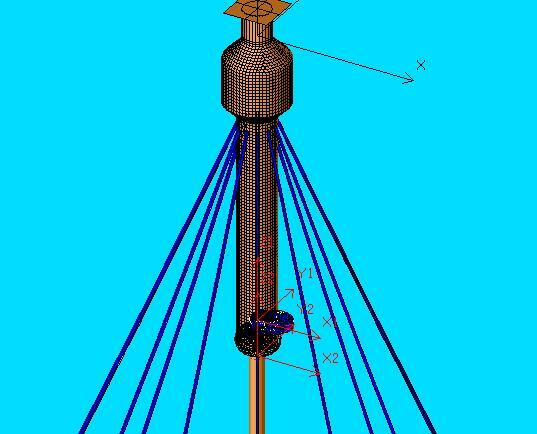 In presence of another vessel or pier, fenders or dynamic mooring cables, we use AQWA, for vessel-vessel-pier hydrodynamic interaction, relative ship motion, fender and mooring analysis and simulation. 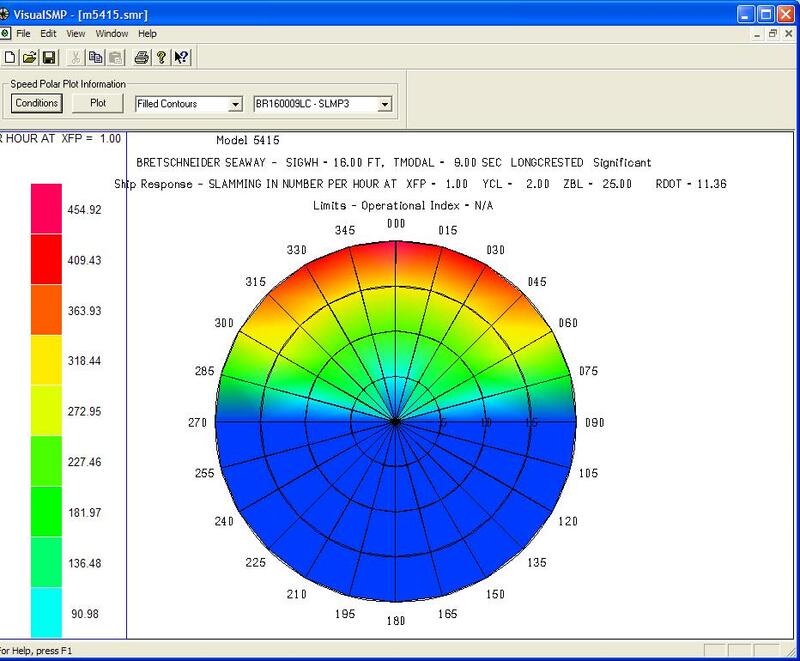 At its core, AQWA is based on a 3-dimensional Green function formulation. The 3-D Green function theory gives ‘exact’ solution, under linear assumptions, for motions of barges and tug boats while traditional 2-D Green function theory can handle only stream-lined ships such as destroyers. Moreover, AQWA is designed to model the full hydrodynamic interactions among different structures such as ships, barges, tug boats, offshore platforms, mooring turrets and piers. AQWA offers a wide range of options to model different mooring lines, fenders, hinges, ball joint, universal joint and user-defined mechanical connections between structures. 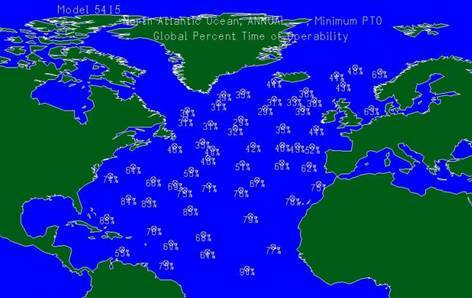 The comprehensive environmental options enable AQWA to model almost any kind of wave, wind and current. 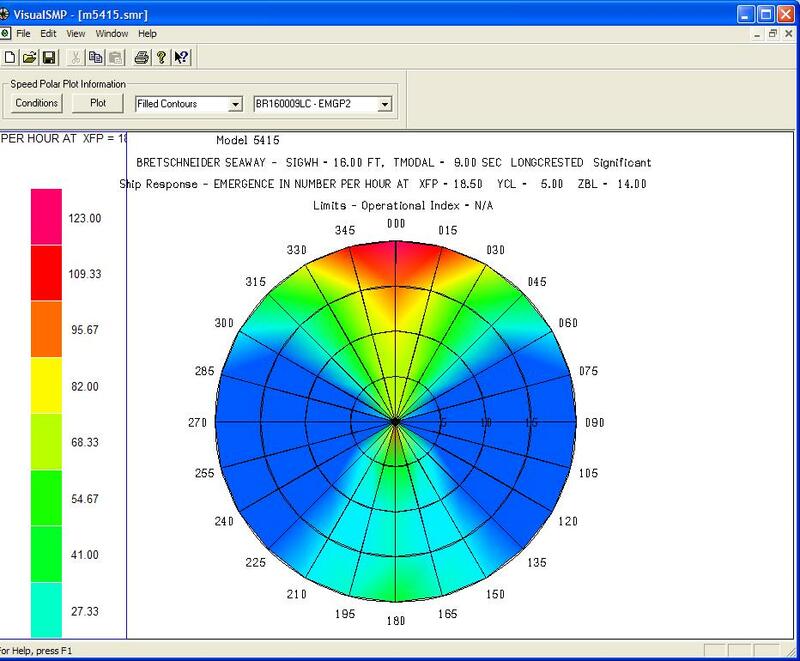 For more than 14 years, we have been using AQWA for mooring/fendering analysis, ship/oil production platform motion analysis/simulation, and relative motions calculation between ships, ship/piers, personnel transfer between ships , etc. While AQWA can be used for its frequency domain solutions, it is more powerful in its time domain nonlinear dynamic simulations. Convolution integrals are used in time domain so that all the frequency dependencies of the hydrodynamic forces can be modeled properly in time domain. 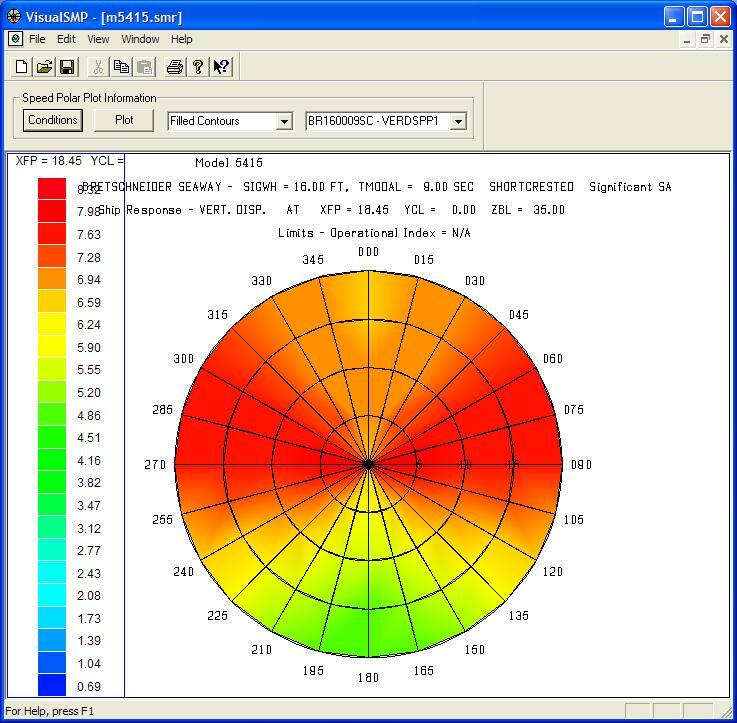 Its dynamic simulation ability is further enhanced by the customer-designed DLL option. The user can write his/her own modules to interact with AQWA to suit his/her own applications. 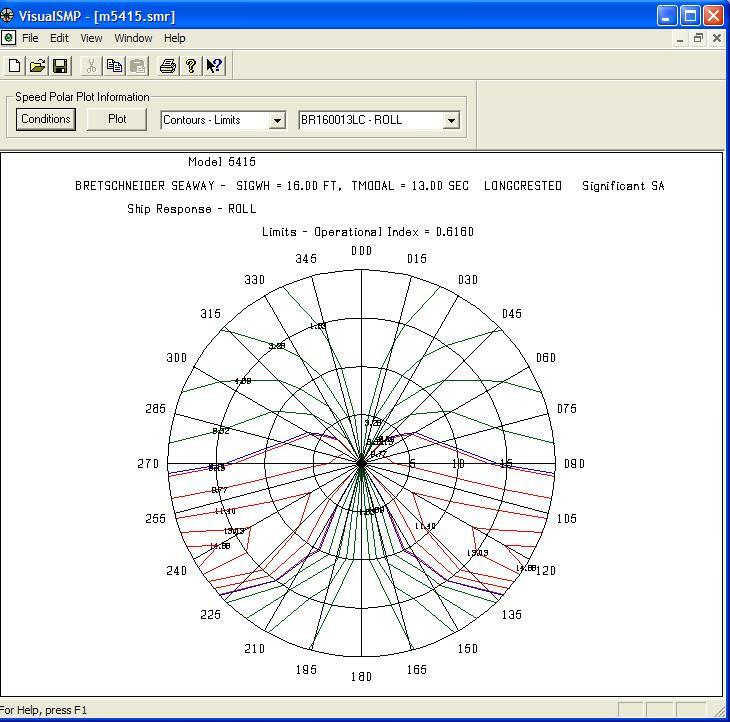 Over the years, Alion JJMA has developed all sorts of user-defined DLL for almost all kinds of nonlinear ship motion forces such as current, wind, rudder, bilge keel, skeg, autopilot, course and station keeping, dynamic positioning using PID control, special fender and mooring line models, impact forces, collision forces and even air-cushion dynamic modeling for surface effect ships. JJMA’s applications of AQWA include, but are not limited to: stern boat recovery, side-by-side cargo transfer motion simulation, floating dock mooring analysis, FPSO system simulation and dynamic cable analysis, wave energy harness device, ocean thermal energy SPAR and dynamic cables, and even nonlinear motion simulation for articulated SES ships. Alion JJMA developed the Alion Integrated Maneuvering Simulator (AIMS). 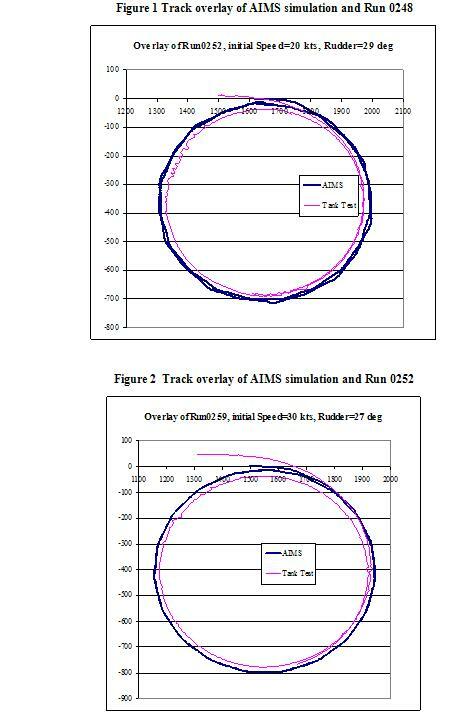 AIMS numerically integrates the 4DOF (surge, sway, yaw and roll) standard ship maneuvering equations. The equations relate the various hydrodynamic hull coefficients and ship motion to propulsion and control forces such as propeller, propeller wake, water-jet, rudder forces, wind and current forces. 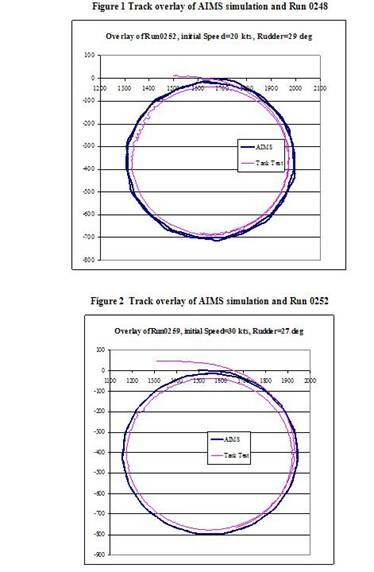 AIMS was verified against sea trial data of Esso Osaka. 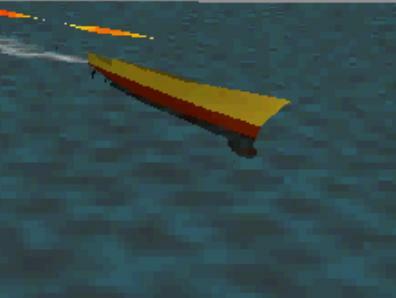 In addition to the conventional maneuvering predictions such as such as turning circles, zig-zags, acceleration, deceleration and crash stop, spiral tests and directional stability, AIMS was used to carry out special simulations to support the In-Stride-Mine Avoidance analysis and Torpedo Defense analysis using advanced genetic algorithm. To assist our maneuvering simulations, Alion JJMA developed a suite of tools/programs for control surface design, thruster sizing, fixed-pitch and controllable-pitch propellers, rudder in propeller wake, water-jet, auto-pilot, station keeping and dynamics positioning (DPS). Station keeping and dynamics positioning simulation can be done in presence of wind, current and waves. For standard maneuvers, to supplement our own tools, Alion JJMA licensed commercial ship maneuvering programs such as SHIPGEN and PORTSIM. 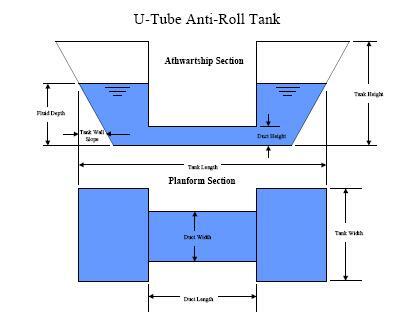 Design roll motion reduction systems for low speed applications, high speed applications or both. 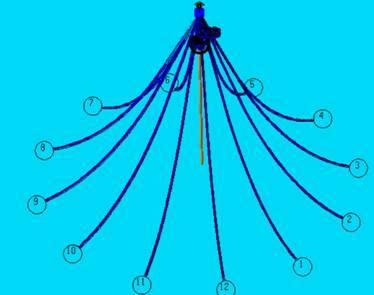 · Skegs and rudders: design for ship directional control as well as motion reduction. Whenever applicable, Alion JJMA takes full advantages of advancements of Computational Fluid Dynamics (CFD) for its ship motion, maneuvering, other marine and aerodynamics related simulations. 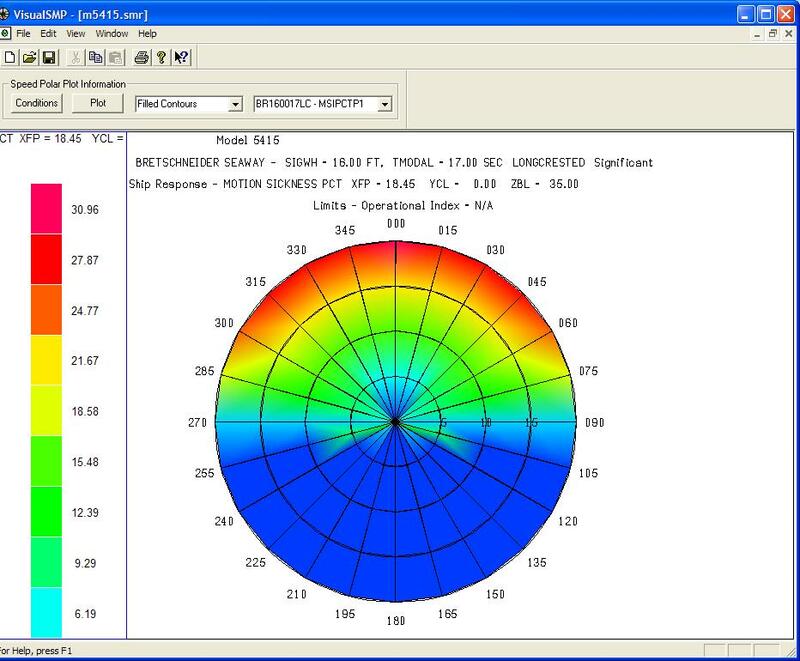 Alion JJMA has licensed CD-adapco’s STAR-CCM+ for general purpose CFD and some hydrodynamic applications. Alion JJMA also has close collaborations with universities and apply most recent development in hydrodynamics in our simulations whenever possible. Such an example is George Mason University’s FEFLO. FEFLO is a general purpose CFD code for the simulation of compressible and incompressible flows. For hullform CFD, Click here .